What happened with the reform momentum in Bulgaria? That is the question that arose in my mind while I was reading the recommendations of the European Commission to Bulgaria under the so-called European semester. The recommendation for Bulgaria is based on a review of the National Reform Programme (NRP) 2011-2015 and the Convergence Programme (CP) 2011-2014, which were sent to Brussels in April. 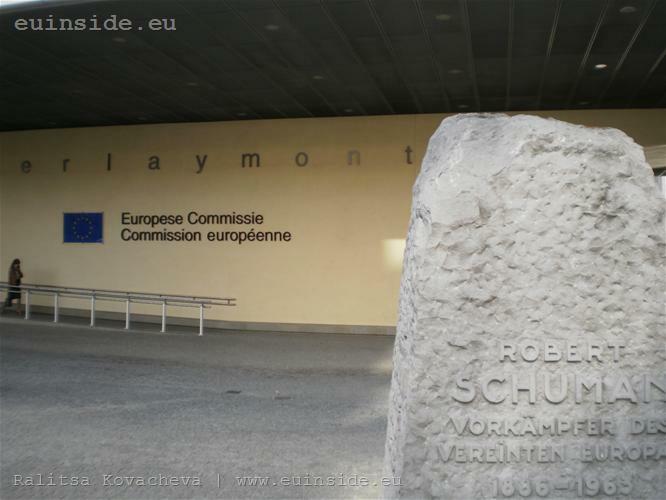 The procedure of the European semester provides these documents of each Member States to be assessed firstly by the European Commission and then - by the Council of EU finance ministers, before being approved by the EU leaders at the European Council in late June. The aim is the priorities at EU level to be set in the national programmes both in terms of concrete objectives and as specific measures, in order to ensure that all countries move in the same direction, albeit with a different pace. The evaluation also includes the Bulgarian commitments under the Euro Plus Pact, adopted at the European Council in March 2011. Moreover, this year it is said that “after a considerable and frontloaded budgetary adjustment of more than 2 percentage points in structural terms in 2010, the fiscal effort in 2011 is well below the recommended adjustment of at least 0.75% of GDP.” So the first recommendation is to correct excessive deficit by the end of this year. In last year's evaluation it was also noted that “the Programme envisages quite an ambitious structural consolidation by -2¾ % of GDP in 2010, with no further improvements in the following years. The planned consolidation in 2010 is not fully underpinned by measures outlined in the programme.” And guess what – this year is the same: it is not clear what budgetary measures exactly are planned to achieve the fiscal targets set for the programme period 2012-2014. This is the second main recommendation - to specify measures in support of the budget strategy for 2012-14. At the same time, “the envisaged annual average structural fiscal effort in 2012-14, after the planned correction of the excessive deficit in 2011, is well below the minimum annual structural improvement of 0.5% of GDP recommended,” the document states. According to the Commission, in view of the improving economic outlook, the progress towards the MTO (budget deficit of 0.6% in 2014) may be faster. The risks: the inefficiencies in the public sector “may lead to considerable expenditure pressures while budget revenues are likely to be structurally lower than in the pre-crisis boom years”. Hence “ambitious public finance reforms” are needed, in order to conduct the necessary adjustment, to finance the structural reforms and to co-finance European projects. Apparently, the recommendation, made last year for true and profound reforms to strengthen public finances, is still valid. In this respect we can say that some work has been done, given the Government's intention to adopt the Financial Stability Pact (“binding fiscal rules”). This is also one of the country's commitments under the Euro Plus Pact. However, political negotiations on the Financial Stability Pact are going slowly and it hasn't been supported by some of the parliamentary parties. With regard to putting budget reporting on an accrual basis, in February 2011 the Deputy Finance Minister Vladislav Goranov commented that over time, the accrual basis would become the basic methodology for preparing and implementing the budget, but this was a long process. Apparently, according to the EU, it is time this process to be concluded. ”The low efficiency of public services remains an obstacle to growth,” the Commission notes and recommends strengthening the administrative capacity (for the umpteenth time! 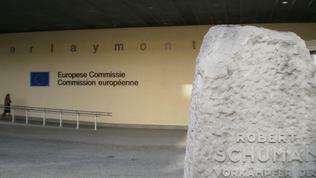 ), introduction of “measures to check public procurement on the basis of risk assessment” (it was also a subject in the Commission's CVM report from July 2010), as well as “strengthen the capacity of the authorities to prevent and sanction irregularities, in order to improve quality and value-for-money in the use of public funds.” Under the Euro Plus Pact Bulgaria has committed to promote competitiveness, reduce administrative burdens and focus on e-government. Bulgaria has “to ensure that wage growth better reflects developments in productivity” - it is another commitment under the Euro Plus Pact. According to the Commission's paper, during the boom years before the crisis, wage growth in Bulgaria has been ahead of productivity growth - 20% annual growth in 2007. After the crisis wages began to decline, but growth remained relatively high - about 10% in 2010 for employees with contracts (around 65% of the labour force). This recommendation comes against the background of the Government's intention (as far as the controversial statements of the Prime Minister and other ministers express an intention at all) to increase the minimum wage as of July 1, 2011. Given that Bulgaria has committed to freeze wages and pensions by 2013, any increase would be at variance with the stated policy of reducing public expenditure and could be interpreted as a pre-election move. One of the toughest reforms that Bulgaria should conduct are obviously in the area of labour market. Under the Euro Plus Pact Bulgaria has committed to foster employment by applying measures to reduce undeclared employment and increase labour participation. While the unemployment levels themselves are not startling, the detailed breakdown shows where the big problem is. On the one hand, “the share of long-term unemployment (46% in 2010) is higher than the EU average (2010: 40%), and there may be a risk of it becoming structural.” The situation with young people is even worse. The unemployment of people in 15-24 years of age is 23.2% in 2010. “The youth activity rate has consistently stayed at less than two thirds of the EU average (2009: 29.5%; EU: 43.8%)”. Youth employment rate was 24.8 percent in 2009 while the EU average was 35.2%. Bulgaria has the highest proportion of young people who neither study nor work - 19.5% of people between 15-24. The explanation of the above statistics mostly lies in the education. According to the Commission, “despite an above average educational attainment, Bulgaria has over 40% of low achievers in literacy and numeracy”. This clearly shows the need for reforms in order the educational system to meet the needs of the labour market. Reforms should cover “financial autonomy, pre-school participation rates and external evaluation, as well as ensuring accountability”. It also noted that “Bulgaria has significantly delayed its higher education reform”. The new Higher Education Act, submitted in 2010 but subsequently withdrawn, is expected to be a useful step towards the necessary reforms. In this area too Bulgaria has commitments under the Euro Plus Pact – to improve access to education and enhance the performance of the education system. The state needs to create opportunities to combine education and work, implement active and targeted labour market policies, use regional-based employment programmes and European funded training programmes. ”The pension reform decided in 2010 is not linked to life expectancy or to the situation of the health and long-term care system”. This sentence is literally a verdict for the Bulgarian pension reform, provided that this requirement is repeated as a mantra in every EU paper and is enshrined in the Euro Plus Pact. On top of that, “the implementation period is from 2011 to 2026, with most of the measures taking effect in the second half of the period which could put both the implementation and the sustainability of the first pillar of the pension system at risk.“ Of course, because the second half of the period goes beyond the mandate of the current ruling party GERB and as it happens in our country - there is no guarantee that the next government will implement the same programme. The Commission's recommendation on these very important Bulgarian programmes, describing the Government's vision for the development of the state in a medium term, shows that “the reform momentum”, as noted in the last Commission's CVM report, has faded. Once again, Bulgaria needs to promise reforms that should have been at least started, if not entirely carried out. On top of that, as the recommendation states, the measures envisaged for some of the targets are not specific enough or are delayed in time, which is obviously intended to provide comparative comfort of this government, but could jeopardize the implementation of reforms. The picture is clear – the working people are becoming less; the young people are half-taught and worse - many of them do not work; the labour force is predominantly medium and low skilled. It simply means that if Bulgaria wants a competitive economy, it has to make the education its strategic priority and at the same time to carry out urgently true a pension reform. These priorities have to be pursued in every strategic document, with all possible measures and we should not allow these to become victims of short-term political ambitions.